What Are Workers’ Compensation Vocational Rehabilitation Benefits? | Merkel & Cocke, P.A. What Are Workers’ Compensation Vocational Rehabilitation Benefits? Home/Worker's Compensation/What Are Workers’ Compensation Vocational Rehabilitation Benefits? Eligible workers who are injured on the job may receive workers’ compensation benefits during the time they cannot work. The employer’s insurance company also pays their medical bills – hospitals, doctors, therapists, medications, and other medical costs. Mississippi workers are eligible for these payments, without the need to prove fault, if their injuries are due to a workplace accident, or if the employers were injured in the course of their job duties for some reason. The ideal aim for both the employee and employer is that the worker returns to the same job he/she had before the accident. However, some workers can never return to work. Other workers may be able to return to a less strenuous and lower paying job. For other employees, there is a fourth option. With help and education, they can be retrained so they can obtain a different type of job. This is called vocational rehabilitation. Normally vocational help begins with a statement or report from the treating doctor that the worker cannot do his/her old job – and cannot do similar less strenuous work. Some workers cannot be trained for new work because their injuries are too severe. Generally, Mississippi workers’ compensation will authorize only up to two years of vocational rehabilitation. Many of the workers who are eligible for vocational rehabilitation do manual labor and construction work. Other eligible worker can include healthcare workers, restaurant workers, and anyone who did any type of physical labor. These workers are often retrained to do sedentary work, such as data entry that requires computer skills, because physical work is no longer an option. Testing the worker’s ability to perform different physical tasks. A review of a worker’s transportation needs to a classroom or other learning sites. The worker’s need for assistive technology such as a wheelchair, a car that can be operated to accommodate a disability, or hearing aids. The needs review applies to both the retraining and the ability to perform a new job. A review of the medical needs of the worker such as the need to sit or stand after 30 minutes or an hour. 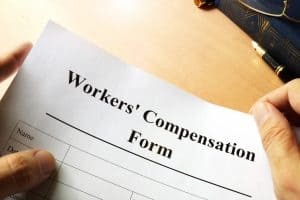 Workers, during the rehabilitation time frame, are entitled to receive their standard workers’ compensation paycheck – though they may be asked to use part of this check to fund their retraining. An experienced Mississippi workers’ compensation lawyer reviews your background and eligibility for vocational rehabilitation. If the insurance carrier for the employer does not agree to work rehabilitation, we can request a hearing before the workers’ compensation judge. Don’t give up. At Merkel & Cocke, PA, our Mississippi workers’ compensation lawyers have been fighting for injured workers since 1982. We’ll help you get all the benefits you deserve. To review your case with a seasoned lawyer, please call us at 662.799.1633 or complete our contact form. We serve the entire Gulf Coast region from our office locations in Clarksdale, Oxford, and Jackson. Why Do You Need a Mississippi Workers’ Compensation Lawyer?